I'm a mom. I also blog. I'm very much in tune with how my children operate and am very plugged into their lives. I have two children, my oldest is school aged and my fight against Common Core began with them in Kindergarten. This was my first time in the public school round-up since I had been in the system as a student. Both my child and I were excited for this next chapter of his life. I joined the PTA, I got involved in volunteering and thought things were going well. I thought wrong. About a month or two in, I noticed papers coming home stamped with COMMON CORE on them. An array of letters and numbers often followed that stamp. I was curious. What was Common Core and why was it asking my child to write a four sentence opinion piece in Kindergarten? Being a blogger, I fired up the computer and got to searching. It troubled me that I had not heard of Common Core before now being that I blogged daily and was dialed in to local and national news. What I found disturbed me. A flashy website and sets of standards that read like stereo instructions. No curriculum behind them, just line items. I pulled up the Kindergarten ones and found they weren't really matching up with the skill sets or developmental stages kids of that age range should be expected to do or know. The First grade standards were not much better. In fact, most of the elementary ones appeared to be pushing skill sets down several grades below where they should be. Then I found the data collecting, the testing consortiums and the endless amount of corporate money behind the standards. It was from there that I tripped down the Common Core rabbit hole and supporters have been yelling "Off with her head!" at me ever since. It frustrated me that for as long as I can remember, education officials were encouraging and even chiding parents to be more involved. Then, when we got involved suddenly we were being told to shut up and sit down. It worked on some parents, but not me as evidenced in my taking part in Glenn Beck's Common Core Call To Action, We Will Not Conform. My child is bright and that's not just me bragging. I won't go into details but the impact Common Core has had on my child was significant. Parents out there might know what I mean by impact, but for those who don't I am referring to increased sensitivity, lack of enthusiasm for reading (which he used to love to do) and in general, a desire not to go to school. It was like watching the wind go out of his sails in slow motion and storm clouds moving in. From where I sit, Common Core is a brutal beat down of our youngest learners. At any rate, that's my story in a nutshell. There are dozens upon dozens of other citizens out there who stood shoulder to shoulder with me in this fight. I can’t tell you how instrumental networking with people from every walk of life has been to this fight. The legislators we worked with became our champions and they continue to fight. It’s a fight that sucked two years of my life away that I will never get back, but it has been worth every moment. My children are worth every moment. So are yours. To understand how North Carolina got to the point of breaking away from Common Core via a bill in our legislature, it is important to look at the timeline of how North Carolina became ensnared in Common Core to begin with. January 14, 2010 NCDPI complete the Race To The Top Application - Inserts Common Core as a brand name into it. Dr. Atkinson and Former Governor Perdue sign it. June 2, 2010 NCDPI's Atkinson and Governor Perdue sign off on SBAC (Smarter Balanced Assessment Consortium) MOU, locking our testing into Common Core. June 3rd, 2010 NC Board of Education adopts Common Core at the behest of Dr. Atkinson. June 10, 2010 Common Core is released by the CCSSO (Council of Chief State School Officers), NGA (National Governors Association) and Achieve, Inc.
March 2011 NCGA brings Common Core in via S724, SL2012-77. It is inserted in Edition 3 of the bill and makes it through to ratification. Common Core. as a brand name, is placed in our state's statutes. 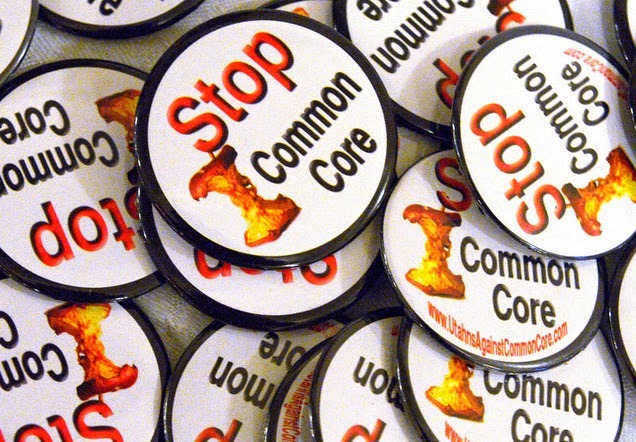 Fall 2012 Common Core implemented in North Carolina Schools (K-12). April 11, 2013 NCGA cuts the funding on the SBAC tests with HB 755. May 15, 2013 NCGA begins to question Common Core and SBAC with HB 718. October 19, 2013 A Common Core Legislative Research Committee is authorized. Fall 2013 Dr. Atkinson is made President Elect of the CCSSO (Council of Chief State School Officers). May 2014 - Present Common Core LRC produces a report which is critical of Common Core and suggests replacement. One original draft of a replacement bill is entered into the report, authored by Senator Tillman. This initial bill draft becomes SB 812. The House also creates a bill, HB 1061. The language in 1061 is stronger and a tug of war ensues. In the end, SB 812's language wins out. The conference version of 812 passes both houses after exiting a Conference Committee and is sent to Governor McCrory, who signs it on July 22nd, 2014. I announced this signing of SB 812, live, on We Will Not Conform. I am told by fellow fighters that thunderous applause erupted in the theaters where they were watching when I announced Governor McCrory signed the bill. I'm glad they had that moment of triumph but the fight is far from over. The Standards Commission needs to be appointed. The chance of a rebrand is strong. One can be sure that Dr. Atkinson and the Chamber of Commerce are using all their pull to make sure they have as many of their Common Core supporters appointed as possible. This is why I am calling on citizens across this state to pay close attention to every move this Commission makes - including who is appointed. If we don't, a rebrand is sure to be the result. Andrea, I was at the Concord Mills theater and clapped at your announcement! My daughter went with me and I was happy she went. She taught third grade in Cabarrus County for eight years and quit in 2012 (had another child) and is now teaching preschool. Her oldest son started kindergarten his year and I am concerned. This morning I was reading about the candidates running for the Cabarrus County School Board. Out of the eight candidates, two mentioned Common Core by name. Education curriculum concerns were mentioned by others. Is there anyone from Cabarrus County that can give me more information about the candidates or how can I find out?